AzBaja.com, Home of the VW Baja Bug -:- Baja Forums -:- VW Volkswagen Bug, Baja, Bus, Sandrail and Thing -:- VW Volkswagen & Baja Bug General Discussion -:- where to get good all terain tires. 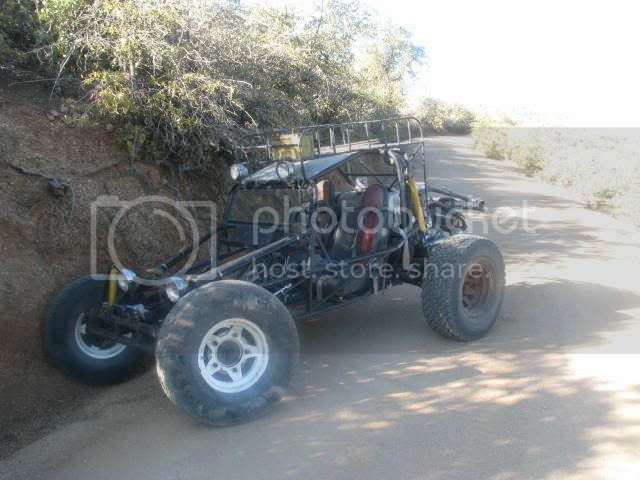 Baja Forums -:- VW Volkswagen Bug, Baja, Bus, Sandrail and Thing -:- VW Volkswagen & Baja Bug General Discussion -:- where to get good all terain tires. where to get good all terain tires. Post subject: where to get good all terain tires. I spent my money on the new chrome rims from chirco ad now I dont know where to get good all terain tires becouse I use my bug on road and offroad and not just for sand so I dont want paddles. any suggestions? Post subject: Re: where to get good all terain tires. I looked at my local tire store and they all keep saying they have nuthing all terain for the size wheel I bought and its driving me crazy. Inexpensive, and reliable with a warranty. You wont find anything at a better price anywhere!! Dang Zyla! Where do you find this stuff! Zyla sees all, Zyla knows all! I love my BFG A/T's- no complaints at all. For the 5 inch rim 237/70 15, 7.00x15 of 33x9.50 will work. You did not state the other size you bought. I have used Bridgstone and BFG all terrains. 7.00 15s on stock rims. Some shops won't mount them but used tire shops will. yeah I DOnt remember what the other size was so I didnt state it. and the tires look awesome im afraid they will rip my fenders off tho I need to invest in my suspension. I got a pretty good deal on General Grabber AT2. They look very similar to the BFGs. Tirerack.com had them $78/each in 215/75/r15. I still have stock suspension do is your bug lifted? dont know if it is a good deal or not. My bug has stock suspension. I have some custom back fenders, but the front is stock. Projects and Builds Lets talk tires. 68 Baja Beetle project build 5 Scrappy68 4102 Re: Lets talk tires.